A series of free afterschool workshops based around the theme of MYSTERY. Students ages 6 and up are encouraged to join us to explore creative new territory inspired by our most beloved visionary artists, their unusual art-making materials, and their unforgettable stories! 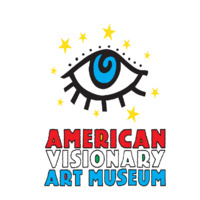 Workshop facilitators from the American Visionary Art Museum will supply a treasure trove of supplies & inspiration for students to use to create their own original artwork. You have the create amazing fun forever to play online latest free backgammon game this is the wonder full to base on the board you need to click here https://playbackgammon.net and join this i hope you hope you have the create best score forever.